What makes me cry... well, those animal cruelty commercials give me instant water works. 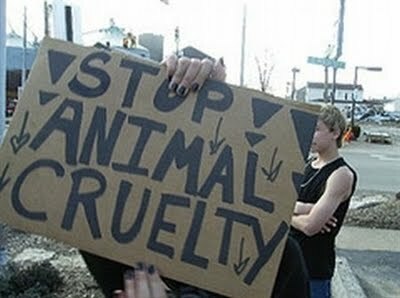 I also can't stand to see animals kill other animals in the wild. Those nature documentaries are so interesting but when it's time to feed I have to change the channel. Recently I was watching a Blue Planet special on Planet Green and they showed these killer whales hunting a humpback whale and her baby. Long story short, they ended up killing the baby and tears were running down my face. If it were left up to me I'd probably be a vegetarian because killing my food would be a no go... luckily, there are wonderful folks out there that don't mind prepping my meat because lamb, beef and pork make my stomach smile.